Green Tech cooperates with many experienced factories and researching stitutions, and can produce series tantalum capacitors, supercapacitors and mica capacitors. Based on our philosophy ‘Green Products, Energy Storage Expert’,for making substantial contributions to human society and becoming the world’s best environmentally friendly company. 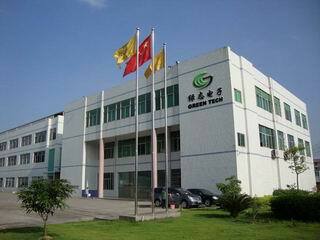 We are doing our utmost to research and develop high-tech and green system device. At present,we are researching the application of graphene in batteries and ultracapacitor modules.Graphene is a super conducting material,it can show excellent performance in the energy storage device.We are sure that in the near future,we can short the device’s charge time much and make the discharge time much longer. Your support and encouragement are very important to us and welcome to your participation.